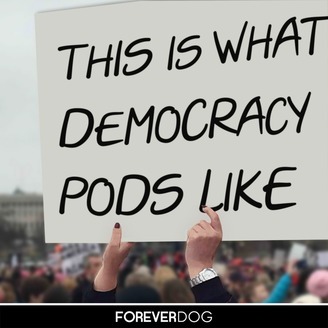 Cram more political news and analysis than necessary straight down your ears with Resistors-In-Chief Billy Domineau, Cate Freedman, and Oscar Montoya. Each week, these radically slightly-left-of-center-but-really-let’s-not-get-hung-up-on-labels thinkers bring you the latest punditry, loudest volume, and most available guests to help you feel like you’re doing your part! 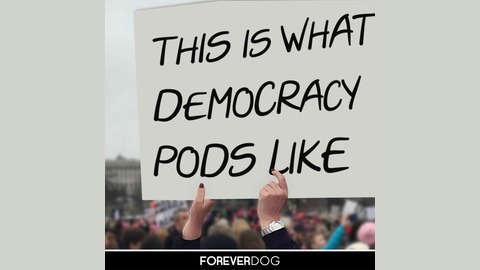 Produced by the Forever Dog Podcast Network. Cate is filled in for by Billy's Aunt Margie (Andrew Farmer), who is currently staying on his couch while visiting Los Angeles. She joins a conversation with the latest Democratic 2020 contender, Tawny Ouggggge(sp?) (Sarah Pappalardo), who shares her sparse platform while almost certainly dying of radiation poisoning.